In 1900, Patsy Odella McCoy Devore married John T. Ford. This is the Ford family line. i. RUTH LEANA FORD, b. February 06, 1902, Jackson County, Arkansas; d. May 17, 1989, Jonesboro, Craighead County, Arkansas. Obituary for MARY M. FORD: BRINKLEY -- Mary M. Miller, 91, of Brinkley, died Friday, Nov. 25, 2005, at the Stuttgart Regional Medical Clinic. Mrs. Miller lived in Jonesboro most of her life and was retired from North Jonesboro School District. She was employed from 1951 to 1976 as the food services supervisor. Survivors include six grandchildren and a host of great- and great-great-grandchildren. She was preceded in death by her husband, Virgil Miller, and two sons. Funeral services will be at 2 p.m. today, graveside in Philadelphia Cemetery, with Charles Kenney officiating. Visitation will be from 10 a.m.-1 p.m. today at Roller-Farmers Union Funeral Home. iv. FREEMAN HENRY FORD, b. August 06, 1917, Tuckerman, Arkansas; d. May 11, 1961, Newport, Arkansas. i. JAMES THOMAS ISBELL, b. November 13, 1927, Grubbs, Arkansas; d. May 05, 1982, Nez Perce, Nez Perce, Idaho; m. LORENE VIRGINIA PICKETT, July 27, 1948, Jackson County, Arkansas; b. Abt. 1924.
ii. ROBERT DANIEL ISBELL, b. November 13, 1926, Grubbs, Jackson County, Arkansas; d. May 08, 1982, Sparks, Washoe, Nevada. iii. EMMER ODELA ISBELL, b. September 02, 1928, Grubbs, Jackson County, Arkansas; d. June 17, 2012, Searcy, White County, Arkansas. iv. 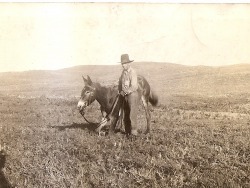 MATTIE ISBELL, b. Jackson County, Arkansas. v. LOYD ALLEN WASHBURN, married LINDA. ii. EFFIE FAY CHRISTIAN, b. July 16, 1945, Arkansas; d. March 20, 1997, Arkansas. Joseph Lee Christian , 77, died Mar 28, 1967 in Osceola Memorial Hospital. Burial was in Garden Point Cemetery. He leaves 5 daughters: Mrs. Alma Simmons of West Ridge, Mrs. Violet Cavanes of Sunnymead, CA, Mrs Betty Kemp of Jonesboro, AR, Mrs. Joann Payne of Kalamazoo, MI and Mrs. Ellie Fay Jobe, 2 sons: Edward Christian of Kansas City, KS, and Gerald Christian of Batesville, AR, and 32 grandchildren and 14 great grandchildren. In 1953, Ben and Lillie are listed as living at 332 N. Main Street, Jonesboro, Arkansas. In 1956, Ben and Lillie are listed as living at 511 N. Bridge Street, Jonesboro, Arkansas. Ben is listed as working at St. Bernard's Hospital as a laundryman. vii. MCCOY FORD, d. 1983.
viii. WANDA FORD, b. May 20, 1933; d. May 04, 2000, Machesney Park, Winnebago County, Illinois; m. GOTZ. Obituary for LILLIE PEARL JUNIOR FORD: Lillie P. Ford 96, formerly of Belvidere, died August 5, 2007 in Riverbluff Nursing Home. Born September 4, 1910 in Guy, Arkansas; daughter of Lee and Maudie Junior. Lillie married Ben Ford July 26, 1931 in Arkansas. He predeceased her. Member of Church of Christ Church, Belvidere. Survivors include sons, Royce (Carol) of CA, Bob (Fran) of Dixon, IL; daughters, Virginia (Robert) Sullivan, of Machesney Park, Marcell Maloney of Poplar Grove, Joan (Larry) Jacobson, of Beloit, 30 grandchildren, 60 great grandchildren, and 10 great great grandchildren; WI; brother, Eugene Junior of Rockford; and sister, Ila Adcox of Arkansas. Predeceased by husband, Ben in 1968, and son, McCoy in 1983, and daughter, Wanda Gotz in 2000. Funeral service will be Wednesday, August 8, 2007 at 11:00 a.m. in Honquest Family Funeral Home and Crematory, 4311 N. Mulford Rd. Visitation will be from 10:00 a.m. until service time. Burial in Sunset Memorial Gardens. i. CHARLES FORD; m. JEAN. iv. SUE ANN FORD; m. BILL CAGLE. 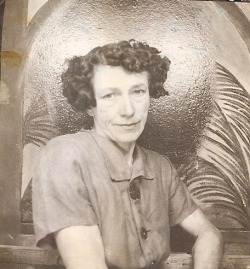 i. PENNY E. MANWARING ISBELL, Clarkston, Washington. EMMER ODELA ISBELL (RUTH LEANA FORD, JOHN THOMAS) was born September 02, 1928 in Grubbs, Jackson County, Arkansas, and died June 17, 2012 in Searcy, White County, Arkansas. She married CLAUD SUGG MEREDITH March 04, 1944 in Woodruff County, Arkansas, son of WILLIAM MEREDITH and BERTHA SKINNER. He was born April 10, 1924 in Woodruff County, Arkansas, and died August 16, 2013 in UAMS in Little Rock, Arkansas. i. ROBERT MEREDITH, m. LOIS. ii. CLAUD MEREDITH, m. PAMELA. iii. DEBBIE MEREDITH, Woodruff County, Arkansas. v. PAM MEREDITH, m. DOUG THAYER. vi. FREDDIE MEREDITH, m. RITA. viii. JOHN MEREDITH, m. NICOLE. Obituary for EMMER ODELA ISBELL: Emmer Odela Meredith, resident of McCrory, passed away Sunday June 17, 2012 in Searcy. She was 83 years of age. Mrs. Meredith was born September 2, 1928 in Grubbs, the daughter of Felix Monroe Isbell and Ruth Ford Isbell. She was married on March 4, 1944 to Claud "Sugg" Meredith. Emmer was a homemaker and a Jehovah's Witness. She loved her family greatly and will be missed. Survivors include her husband of 68 years, Claud "Sugg" Meredith of the home; their children, Robert Meredith and wife Lois of Batesville, Claud Meredith and wife Pamela of Wilmington, OH, Debbie Browning of McCrory, Poletha Coley of McCrory, Pam Thayer and husband, Doug of McCrory, Freddie Meredith and wife Rita of Wynne, Dwight Meredith of McCrory, John Meredith and wife Nicole of Searcy, and Kin Meredith of Memphis, Tn. She is also survived by her 12 grandchildren; 18 great-grandchildren; 1 great-great-granddaughter; a sister, Mattie Tubbs of McCrory and a brother Loyd Allen Washburn of Henderson, NC. She was preceded in death by a granddaughter, Tanya Murdock Hill. Graveside services will be conducted 10 am Wednesday at Pumpkin Bend Cemetery. Pallbearers are Jeremy Meredith, Zac McDonald, Boyce "Pete" Stuckey, Micheal Stuckey, Kevin Parker, Tyler Meredith, Shawn Meredith, Jeff Nesler and Allan Ott. Obituary for Claud Sugg Meredith, 89, of McCrory, died Friday, August 16, 2013 at UAMS in Little Rock. He was born April 10, 1924 in Woodruff County a son of the late William Marvin and Bertha Skinner Meredith. He had been involved in agriculture most of his life and retired from Producers Rice Mill. He is survived by his children, Robert Meredith and wife Lois, Claud Meredith and wife Pamela, Debbie Browning, Poletha Coley, Pam Thayer and husband Doug, Freddie Meredith and wife Rita, Dwight Meredith, John Meredith and wife Nicole and Kin Meredith; brother, Leno Meredith; 12 grandchildren, 18 great-grandchildren and 2 great-great-grandchildren. He was preceded in death by his wife of 68 years, Emmer (Isbell) Meredith; 5 brothers, 1 sister and a granddaughter. Services will be held Sunday, August 18, 2013 at 3:00 p.m. at the Trinity Full Gospel Church in Pumpkin Bend. A visitation will be held prior to the funeral, beginning at 2:00 p.m. Interment will follow in the Pumpkin Bend Cemetery by Powell Funeral Home, Bald Knob-Judsonia. www.powellfuneralhome.net. PENNY E. MANWARING ISBELL (ROBERT DANIEL, RUTH LEANA FORD, JOHN THOMAS) was born in Clarkston, Washington. She married KEVIN SESSIONS June 03, 1977 in Lewiston, Idaho. He was born in Lewiston, Idaho. i. JAKE ALLEN SESSIONS, Clarkston, Washington. ii. CODY RAY SESSIONS, Lewiston, Idaho. JAMES HENRY TUBBS (MATTIE ISBELL, RUTH LEANA FORD, JOHN THOMAS) married FAYE LANGLEY. MIKE TUBBS (MATTIE ISBELL, RUTH LEANA FORD, JOHN THOMAS) married (1) DIANE. He married (2) GWEN. He married (3) LINDA. RON TUBBS (MATTIE ISBELL, RUTH LEANA FORD, JOHN THOMAS) married (1) DEBBIE. He married (2) CAROL. He married (3) JANELL. He married (4) MELANIE. DANNY TUBBS (MATTIE ISBELL, RUTH LEANA FORD, JOHN THOMAS) married (1) JOHNNIE. He married (2) PAM. He married (3) JO ANN. DENNIS TUBBS (MATTIE ISBELL, RUTH LEANA FORD, JOHN THOMAS) married ANGELA GASKIN.